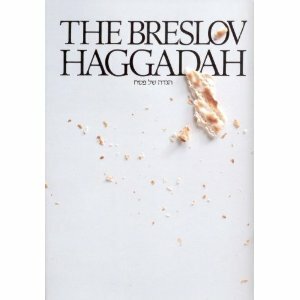 Breslov: The cover photograph of a close-up of matzah crumbs is what first caught my eye years ago when I was a guest at a friend’s seder. I went out and got my own copy, which has occupied a special place on my haggadah shelf ever since. The commentary and stories by Rabbi Nachman of Breslov will spark your imagination and your spirit. This is not your average Maxwell House haggadah. 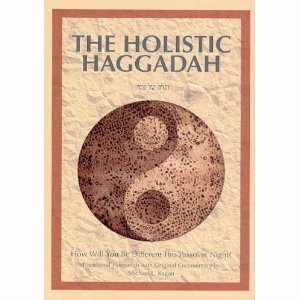 Holistic: As a guest at another friend’s seder I first heard this one before I saw it. The hostess read aloud from one of its “holistic” commentaries and I was immediately hooked. The suggested meditations really get to the heart of the matter. I had to go get myself a copy of this one, too. The yin/yang matzah on the cover is just the beginning.